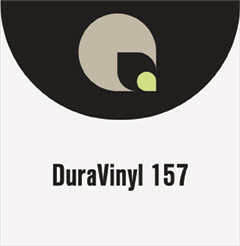 DuraVinyl 157 is a 4 mil microdot vinyl film. Removable Dot Pattern Adhesive that does not leave a residue. Dot pattern allows for bubble free application on smooth surfaces. Easy to apply by hand. An outstanding choice for a variety of applications including wall and window graphics and point of purchase displays. Specially formulated for digital printing with solvent, UV curable and latex inks.